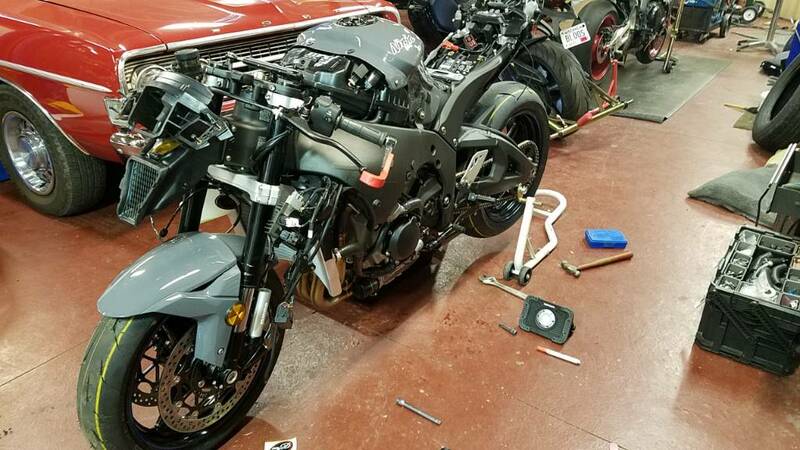 I'm in the midst of prepping my 2019 ZX-10R for the race track. I have the stock body work removed and do not yet have the race plastic (it's on the way from Peru). 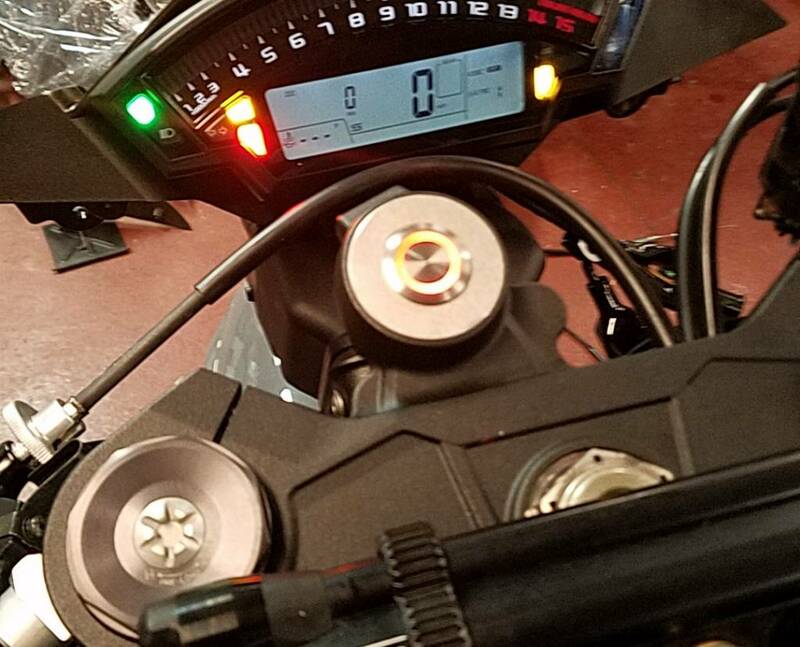 One issue I'm trying to get in front of is all the the electronics on the left side of the bike. There is a fuse box and the regulator as well as other things packed in there. It was all fastened to the stock body and now that the stock body is gone, I dont know how I'm going to mount it all. The question I have is, what have others done to deal with this stuff? On my 18' I zip tied all the wires has tight and neat as possible and kept rectifier in same spot and drilled 1 hole in track plastics to put one bolt through body and rectifier in similar location as stock. I have more than enough clearance between all that mess and fork tubes. Others will chime in with probably cleaner ways to do so but I haven't had an issue yet. What other mods have you got planned? Not too many mods planned just yet. Going to run the stock suspension and will only change spring rates if needed. Stock brakes and wheels too. Yea you will be happy with the bike! I am running a very similar setup only with spring change but still stock suspension setup for me. Sprocket change and de-restricting ECU will be best upgrades! I just upgraded brake fluid and put on RJL pads and one finger braking power all day long..
What tracks will you be running? Racing CCS Midwest. That’s mostly Blackhawk Farms but also a day at ACC and one at Brainerd. Will also be running Road America and likely a weekend at Barber to break the motor in. YSR50 and JUICEBOX like this. Kit Harness/ECU will clean all that excess wiring stuff very nicely. CanyonCarver, bbsteinnewyork and wheelz96 like this. Has anyone eliminated the key switch on these yet? I tried to install a push button and a relay but there is a gray wire from the key switch to the ECU. I don't have the immobilizer but it seems this grey wire has something other than a full 12vdc. When I turn the key to the on position I read 100 ohm between the grey and white wires. I'm not sure if its straight resistance or if there is some circuitry in there. 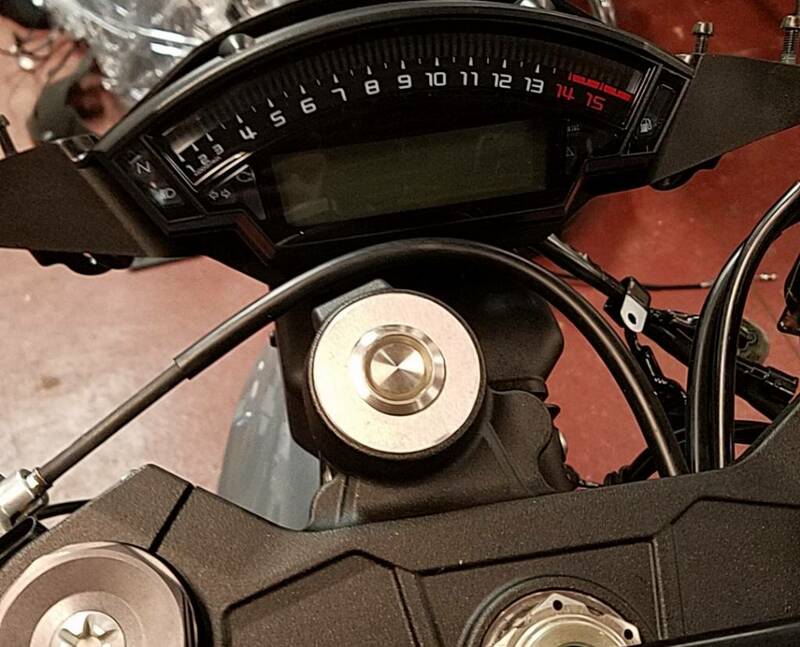 Thanks to a post I found on a different generation ZX10R I was able to determine that the grey wire is indeed just 12vdc with a 100 ohm resistor in line going to the ECU. Connected that up and I no longer need a key! Made a plate to press into the old switch hole. Hopefully it will stay put.